A guest blog post by @IamTheHiggster. 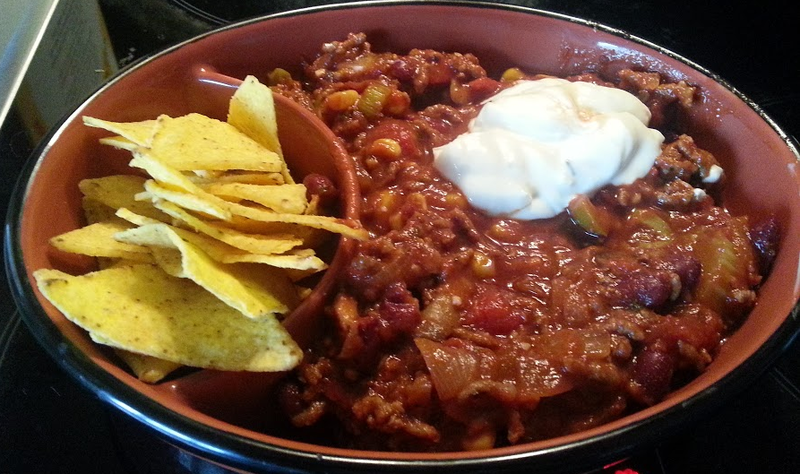 If you know me, you’ll know that I am an absolute chilli addict. 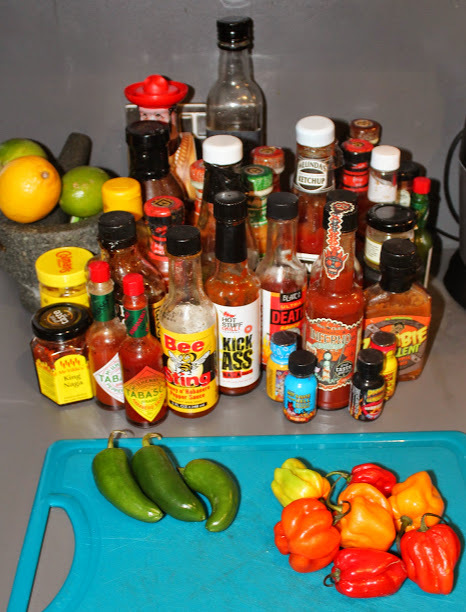 SpamellaB and I have a collection of hot sauces, dips, pickles and powders that we love to use in our cooking; everything from Tabasco to Naga (Ghost Pepper) “Death Sauce”. I spend ages trying to perfect spicy recipes that all can enjoy, no matter the level of heat tolerance and find it’s quite an easy but fun way to put a kick into food. It’s not just the added flavour that attracts me but the amount of good it can do for your body. 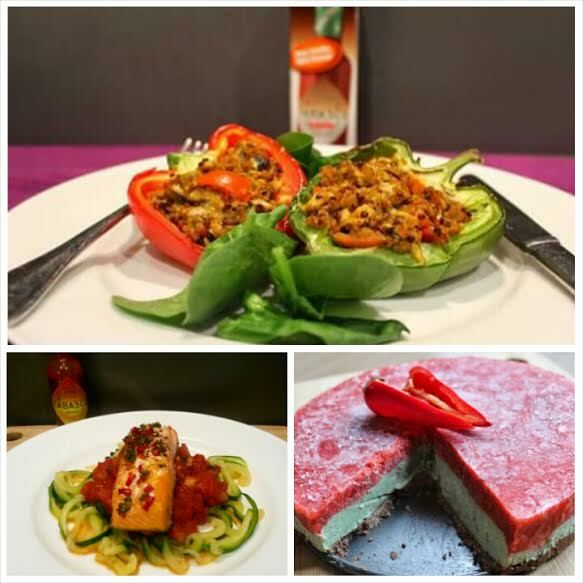 Chilli peppers are known to contain seven times more vitamin C than oranges, have a vast array of health benefits and actually make you happy! The sensation of heat you feel when eating a chilli, is caused by receptors in your tongue, reacting to capsaicin in the same way they react to actual heat. Your body then produces endorphins, which give you that sense of happiness, one of the main reasons people love chillies so much. The more chillies you eat, the less sensitive the receptors are to the spice and the hotter the chilli you can handle, something that becomes really, really addictive. 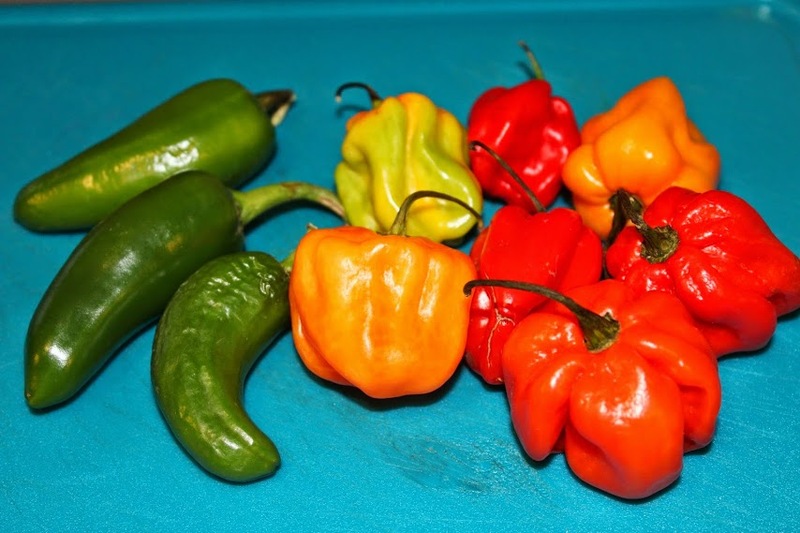 From the commonly used jalapeno to the spicier, often smaller varieties, habaneros, scotch bonnet and scarily hot naga chillies, the health benefits are outstanding. They help to fight sinus congestion, aid digestion, fight infection and also relieve migraines and muscle pains. I haven’t even mentioned the point that as they boost your metabolism, so they can have great weight-loss effects. As with all food types, these benefits are only in moderation, as part of a balanced diet. For some people they can cause irritation and in excess they can upset the pH level of your body, as they are highly alkaline. But, keep this in mind and use as a kick to your meals, the positive effects can be amazing. Ready to start using them in cooking? They are also really easy to cook with. Once you are used to a bit of heat, you can turn the most bland meals into something special, so for SpamellaB and I, it’s a store-cupboard essential!